The MacRobert Trust’s flagship property, Douneside House is to undergo a significant programme of renovation and refurbishment in 2015. 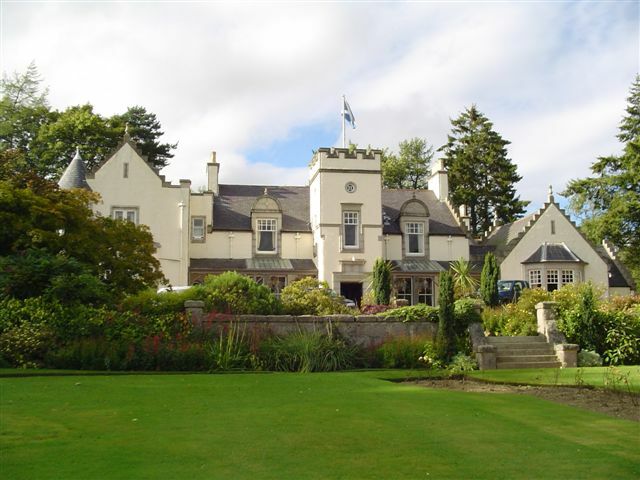 Work commences on the former family home of Sir Alexander and Lady MacRobert in April 2015 and is expected to complete in early 2016. After re-opening, Douneside House will continue to operate as a country house hotel, and as a conference centre for businesses, charities and other organisations. During the past year, it became clear that extensive renovation was required to ensure the structural integrity and long-term future of Douneside House, its cottages and apartments. Extensive work on the roof, the plumbing system and rewiring throughout Douneside will form the major components of the renovation project. Additional work will see the refurbishment and upgrade of guest facilities in Douneside House and its cottages and apartments. The house will be sympathetically redecorated and refurbished, and its paintings, antique furniture and fittings, all of which form such an intrinsic part of Douneside’s history will be retained and integrated into the new interior layout. Special attention will be paid to guest bedrooms to ensure a luxurious level of comfort, and a new and modernised kitchen at Douneside will provide a greatly improved and varied menu. Another major change for Douneside House will come in 2016. Previously, Douneside House was solely for the use of serving and retired commissioned officers of the British armed forces. After much consultation with guests, Trustees and industry consultants it became evident that changes to the operational model were necessary to increase occupancy levels and revenue. The key change is that non-service guests will be welcome at Douneside House. However, Service Guests will remain an integral and vitally important part of Douneside and will continue to enjoy generously discounted holidays at Douneside House, subsidised by The MacRobert Trust. If you would like to receive regular updates on the progress of the renovation and refurbishment project at Douneside House please email manager@dounesidehouse.co.uk with your contact details.